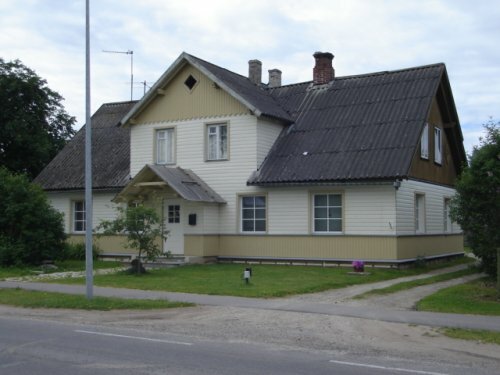 There appears to be two or three major types of homes in or around Rapla, Estonia. 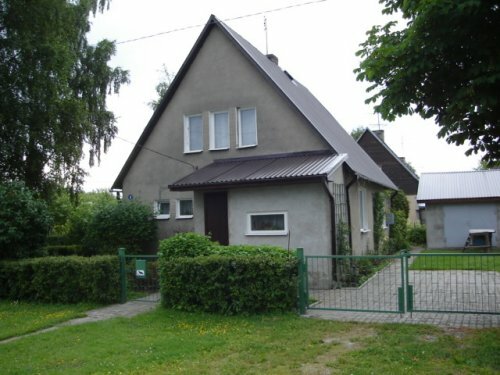 A small peaked bungalow and a more rectangular long house. I think the oldest homes are constructed with wood, however the newer ones are concrete or brick. A very old home looks to have a long or high stone foundation, then a wood constructed home on top of say a 4-foot high foundation. Barns seem to be the oldest structures around, however I have seen they are putting Styrofoam insulation on house and then plastering with concrete looking substance. 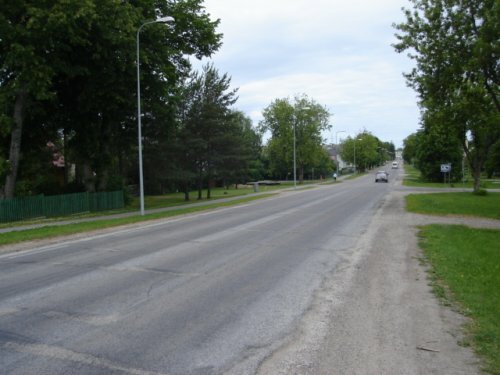 A street, complete with asphalt sidewalk and trash bins along the path, just like a USA small town, except there are no trailers. 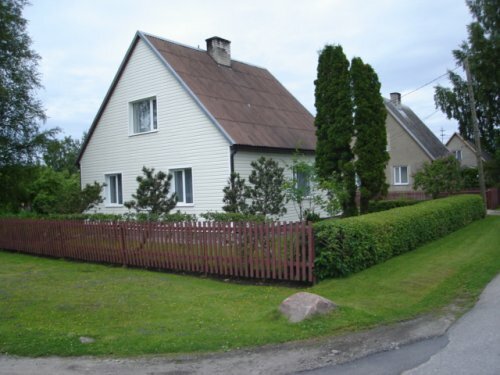 House in Estonia, the concrete coated, or some substance.